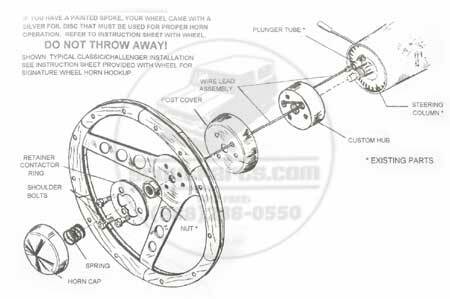 Installation kit necessary for after market steering wheel use on a Scout II. Kit works with any of the three steering wheels that we carry. 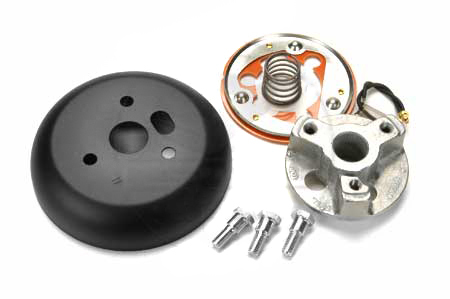 Kit includes the adapter to the new steering wheel, the horn contacts, and plate, the mounting hardware, and detailed installation instructions.